Daniel K. Fram, MD is the Medical Director at the National Life Cancer Treatment Center. A radiation oncologist with over 25 years of experience, Dr. Fram has been named to U.S. News and World Report’s Top Doctors list for 2012-2013 and has placed in the top 10% for excellence in Radiation Oncology with special expertise in Prostate Cancer and Prostate Brachytherapy. Dr. Fram has extensive experience in radiation oncology. 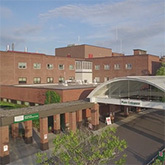 He was Director, Department of Radiation Oncology and Medical Director for the CyberKnife Center at Capital Health System, a member of the University of Pennsylvania Cancer Network, in Trenton, New Jersey. At the same time he was Cancer Liaison Physician (American College of Surgeons Commission on Cancer) and Cancer Committee Chairman. In 2008, Dr. Fram received the Commission’s Cancer Liaison Physician Outstanding Performance Award. Dr. Fram has had several faculty appointments during his career including University of Hawaii Cancer Research Center, John A. Burns School of Medicine and as Clinical Assistant Professor of Radiation Oncology at the University of Pennsylvania School of Medicine where he worked for fifteen years. 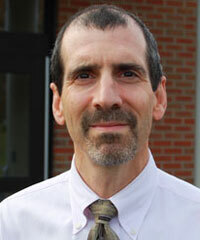 He is currently Assistant Professor of Radiology, University of Vermont College of Medicine.